CUPERTINO, Calif. (Wired.com)—At first, a lot of people didn’t get the iPad. 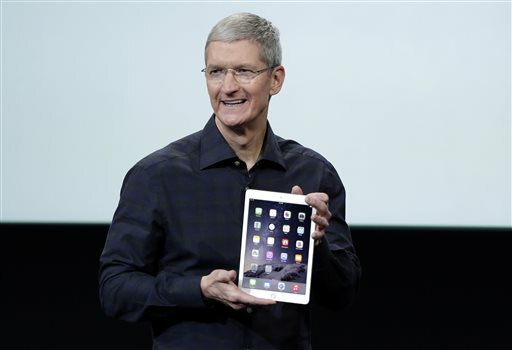 “It’s just a really big iPhone,” the voices said when the Apple tablet made its debut. Some even called it a really big iPod Touch. “The unanswered question is whether we really need a ‘third device’—something to fill the gap between smartphone and laptop,” PCWorld wrote after seeing Steve Jobs unveil the device in January 2010. But since then, Apple has sold 225 million iPads—not bad for a device that skeptics weren’t sure anyone had a need for in the first place. Over the past several months, however, iPad sales have declined, and that original question as resurfaced: what is the iPad really for? And if Apple doesn’t have a good answer, how can it hope to turn that sales dip around? If Apple’s live press event on Thursday was meant to assert the iPad’s definitive reason for being, it failed. Work! Education! Photos! Content! Apple executives name-dropped all these things, and more. But the main thing the audience was meant to remember was that the new iPad Air 2 is not just thin, but really, really, really thin. Thin for what, Apple doesn’t really say. “It is incredibly beautiful to hold all day long,” Apple marketing chief Phil Schiller gushed, as if hold-ability was its own justification.